life — and who doesn't love Hawaii? We offer weekly, bi-monthly, and monthly flower delivery and each new order comes with a beautiful vase to start you off, filled with treats! 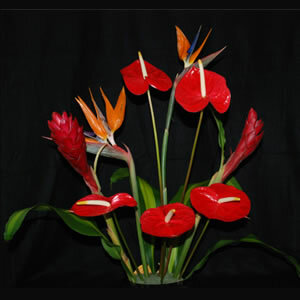 Choose from cut florals, potted orchids, or potted anthuriums. 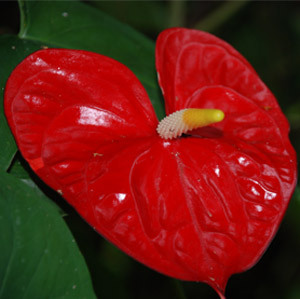 Hawaiian Flowers are exotic, unique, and last much longer than "ordinary" flower bouquets seen in other offices and lobbies. Make a statement and be unique by incorporating Tropical Flowers into your office environment or lobby. Participate in our Corporate Flower Program and have a fresh bouquet of beautiful exotic Hawaiian Tropical Flowers automatically sent every week, every two weeks or every month to your office, straight from Hawaii. What a great way to brighten everyone's day and uplift their spirits. 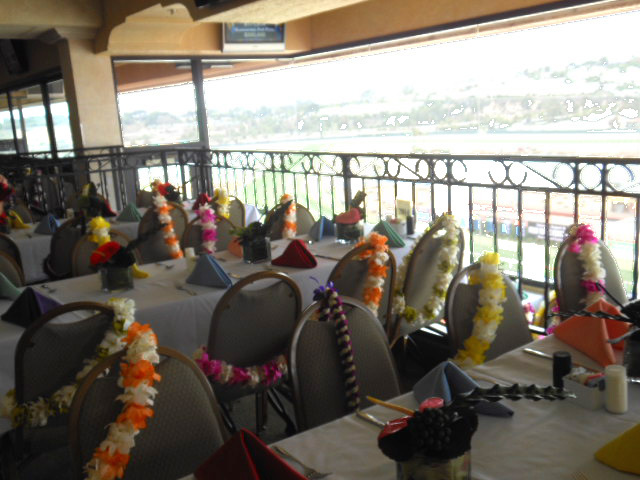 You may not be able to send the entire staff to Hawaii but you certainly can bring some Hawaii to them! Our gorgeous exotic tropical flowers last much longer than mere roses and each bouquet is sent with our Hawaiian Aloha Spirit to enchant and enhance any office space, boardroom, conference room or front lobby. Check Out The Pictures From Our Latest Corporate Event! 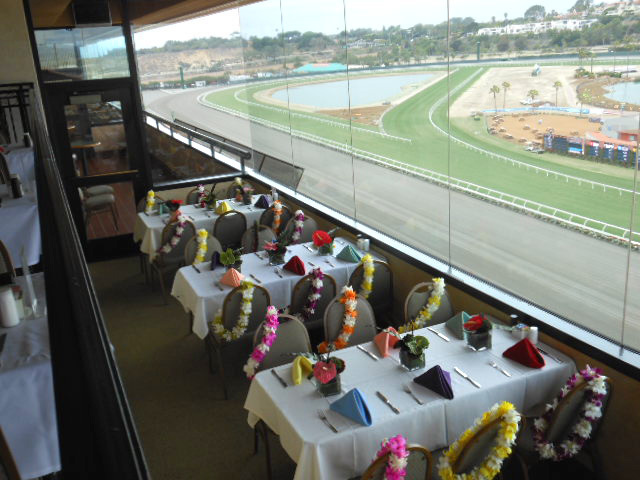 Planning an Executive Retreat, President's Club Awards Gala, Teambuilding Event, or Company Luau/Picnic? 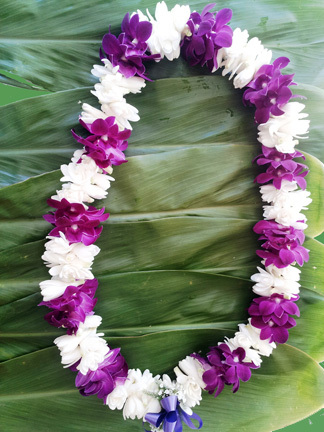 Allow us to help with beautiful fresh Hawaiian flower leis for your participants — we offer a wide variety of styles and colors, can even customize colors to match corporate themes, and we can assist in event planning on the islands or send our fresh gorgeous leis anywhere in the USA in perfect timing for your event. 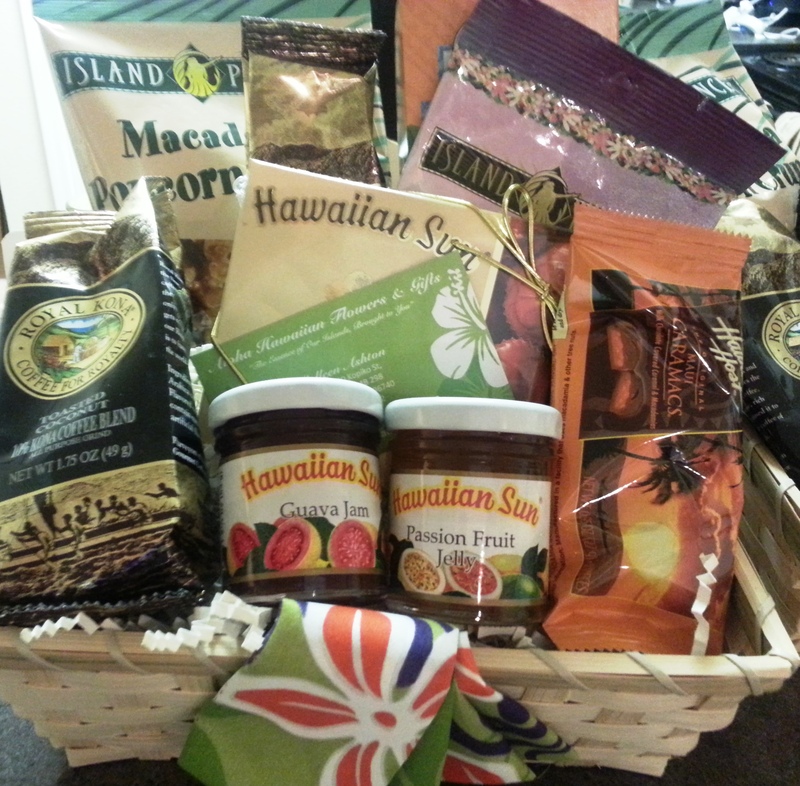 Add a touch of Hawaii at your next event with our beautiful custom created Hawaiian Gift Baskets. 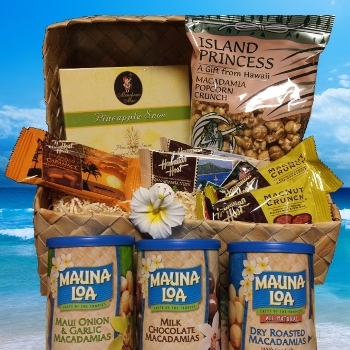 We can custom create anything you want, or choose from one of our popular baskets, perfect for corporate gift giving for your important clients: We offer spa, bath and body gift baskets for him and her, using all natural ingredients from the Rainforests of the Big Island and Kaua'i Island flowers, and deluxe gourmet Hawaiian Food Gift Baskets filled with delicious coffees, chocolates, island spices, and more. We can also customize something specifically for your company and within a specific budget - contact us for details.